﻿ ﻿ ﻿Come fly with Orville Wright as he takes you through the inventing process that led to the first successful airplane flight. 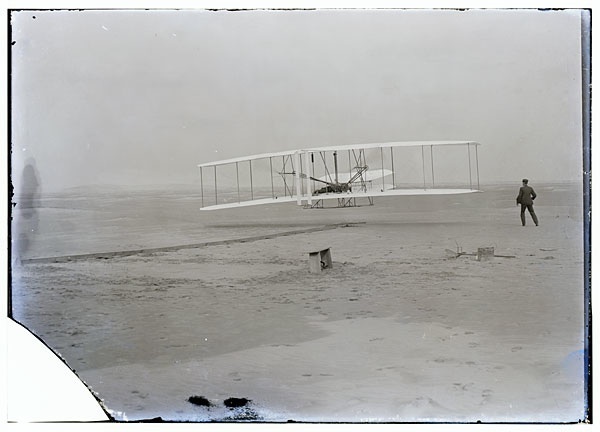 Children today can learn so much from the Wright Bros. story from importance of family to the success of teamwork. Mr. Haas presents in first person as Orville Wright talking to your 3rd thru 5th graders about the history of the bicycle and how that helped Orville and Wilbur invent the airplane. In third person lecture format for Middle and High School students and adult organizations Mr. Haas shares insightful stories of Orville and Wilber's youth, family, the invention of the airplane and their battles with other inventors and the grand fight with the Smithsonian. Copyright 2011 Kids Fly with Orville. All rights reserved.